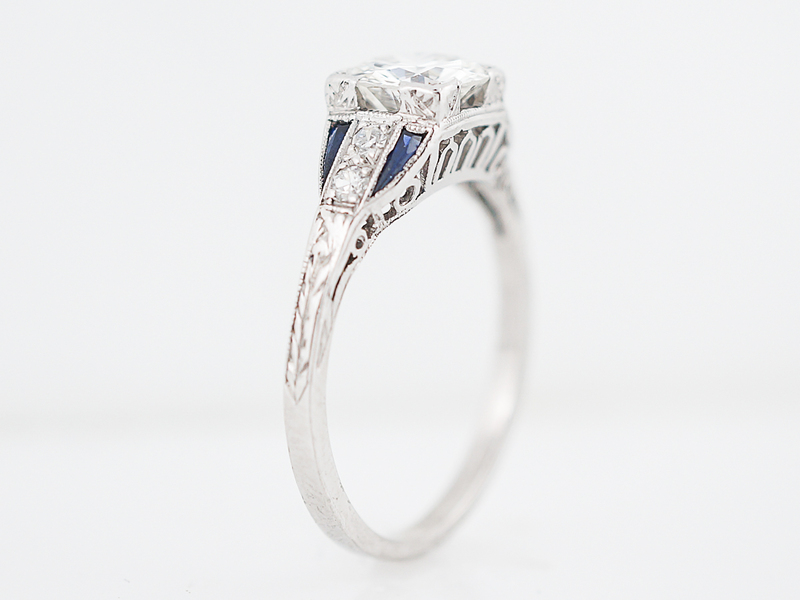 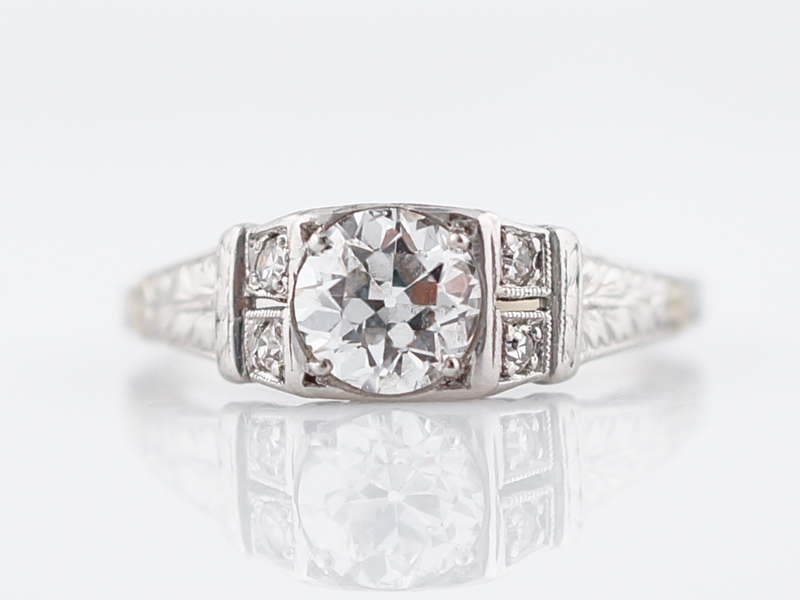 This stunning art deco engagement ring features a 1.22 round brilliant cut diamond in the center. 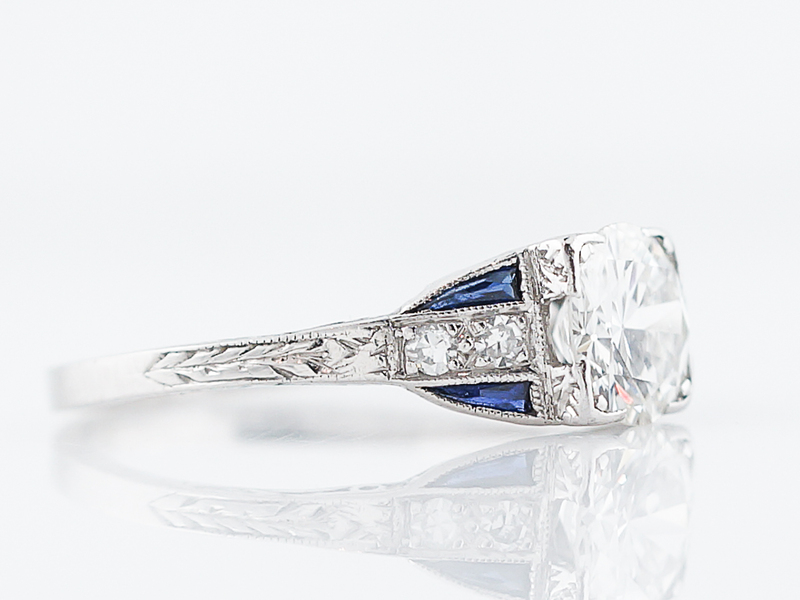 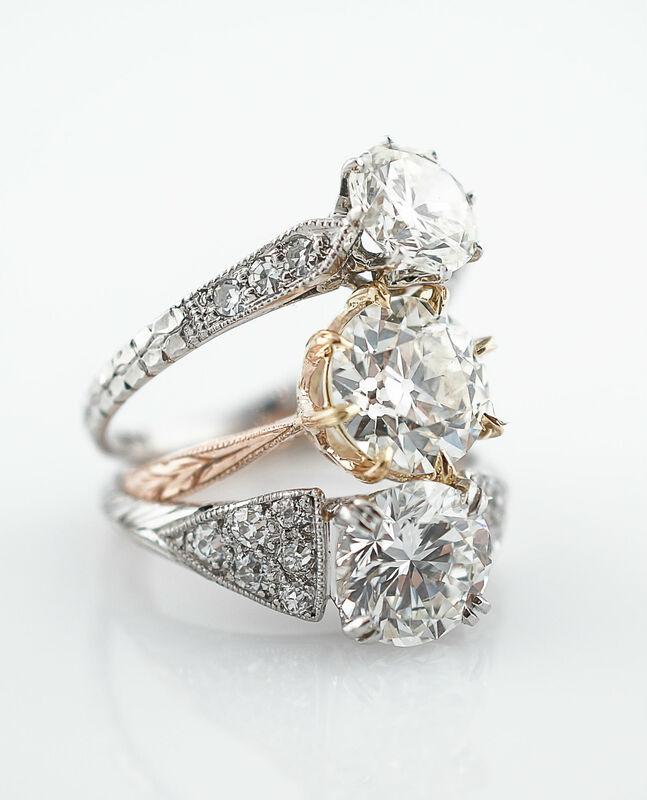 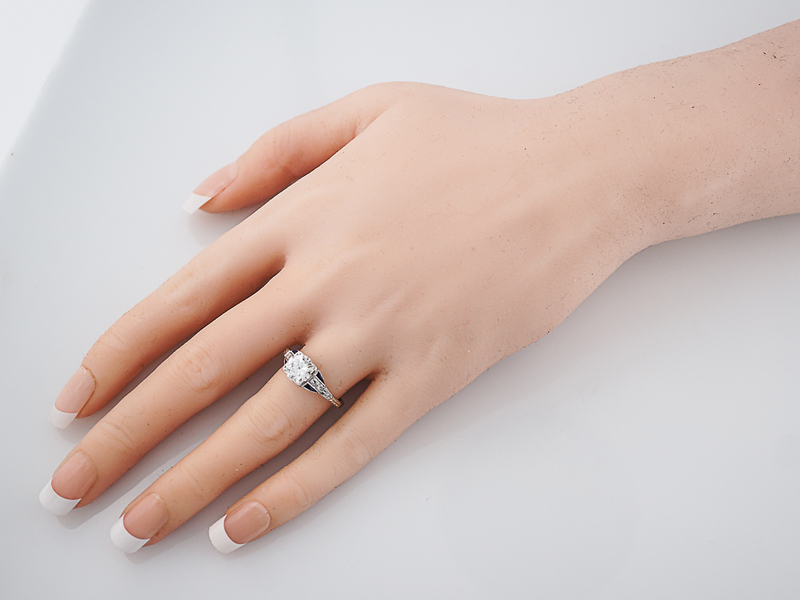 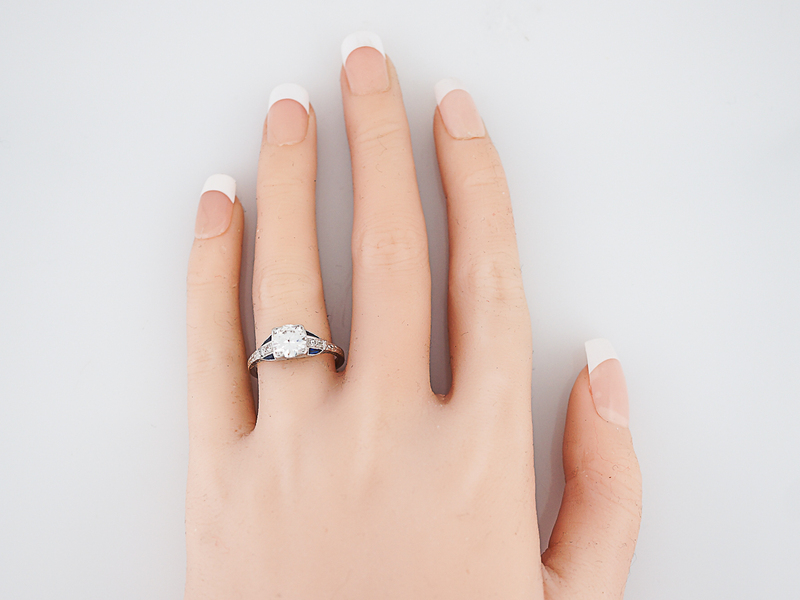 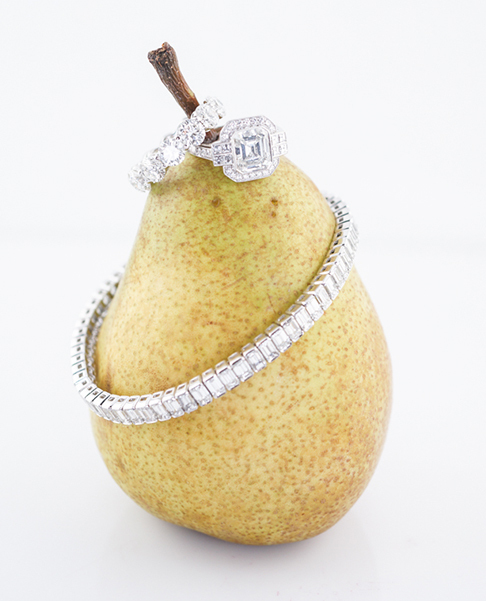 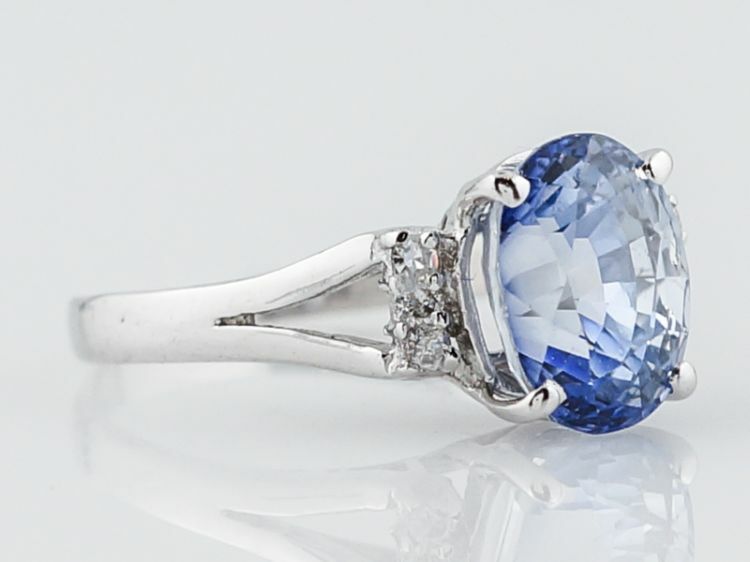 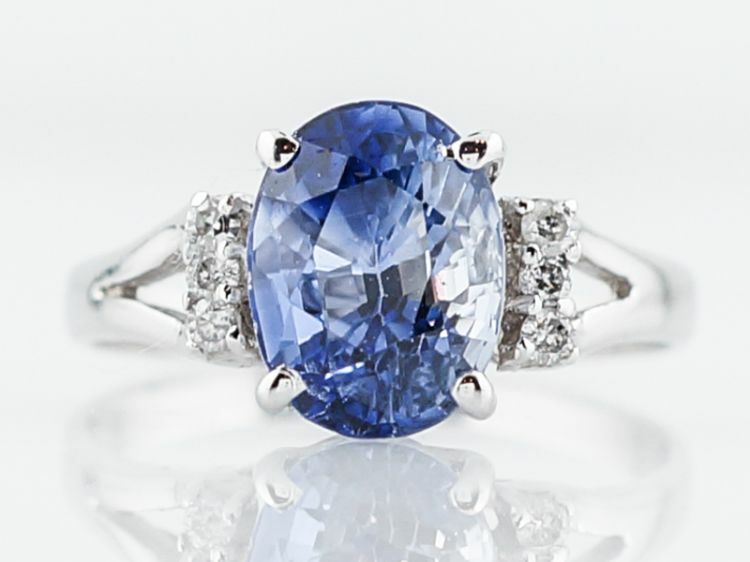 The center stone sits low to the finger and is held by four corner prongs. 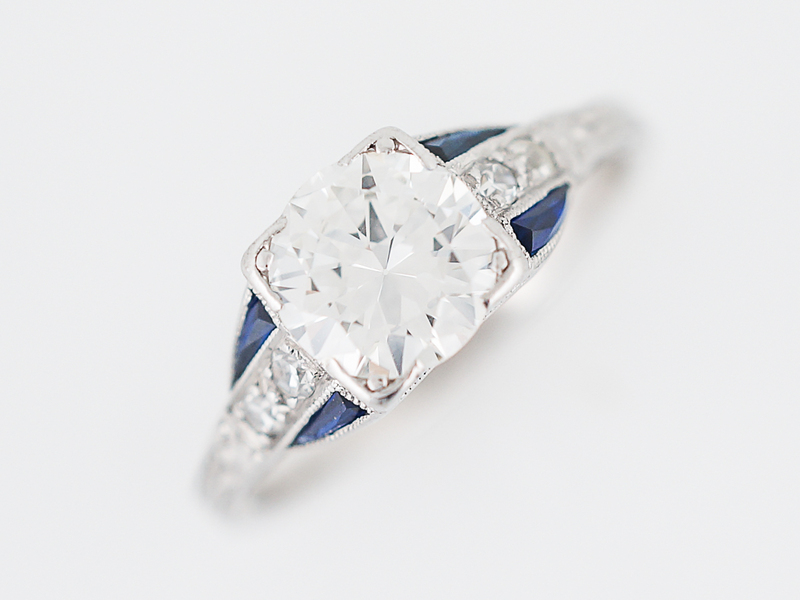 Four (4) triangular cut sapphires add a splash of color and give the appearance of negative space and two (2) single cut diamonds add additional sparkle. 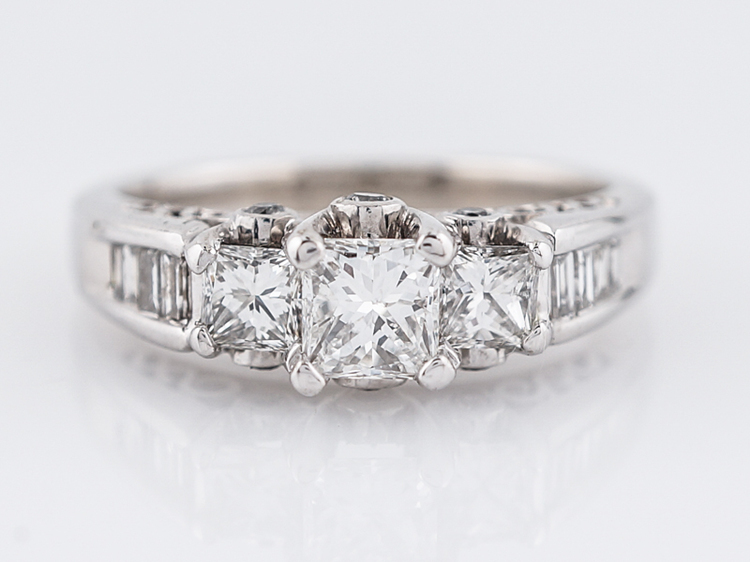 The shoulders of the ring are engraved on three sides and add a final touch of splendor. 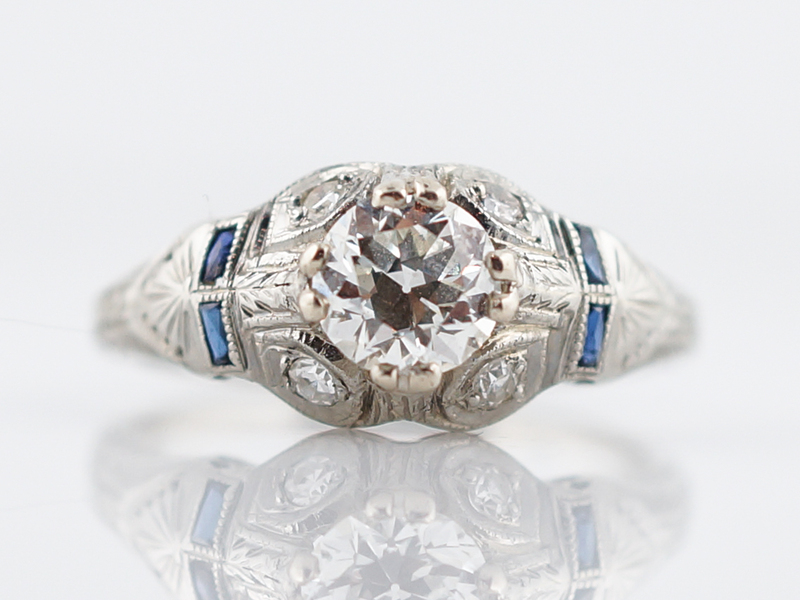 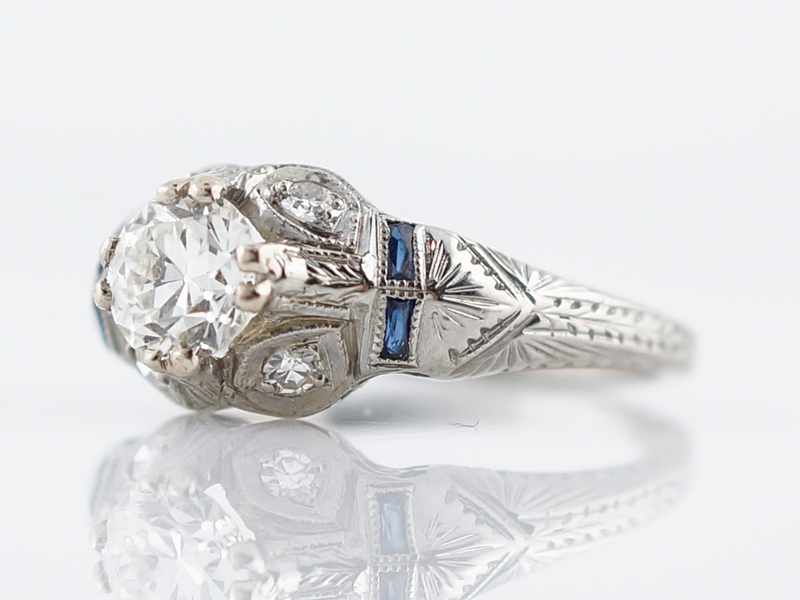 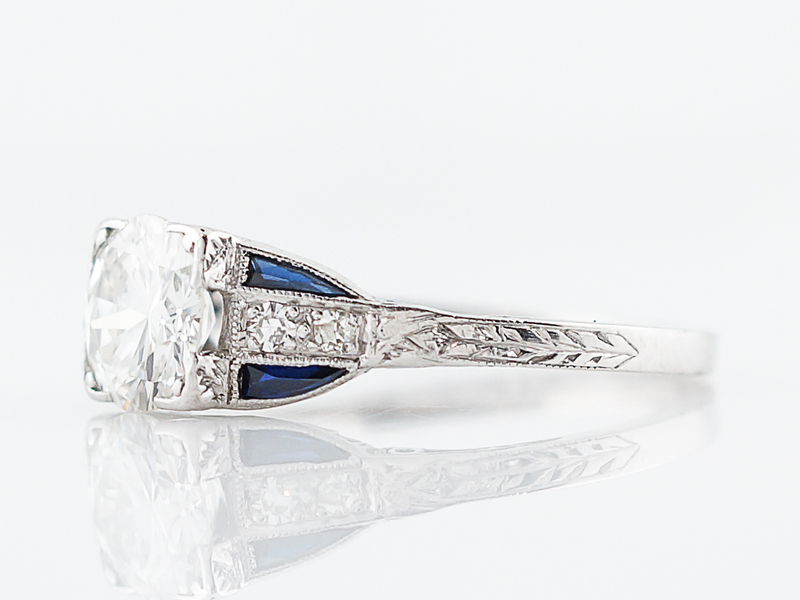 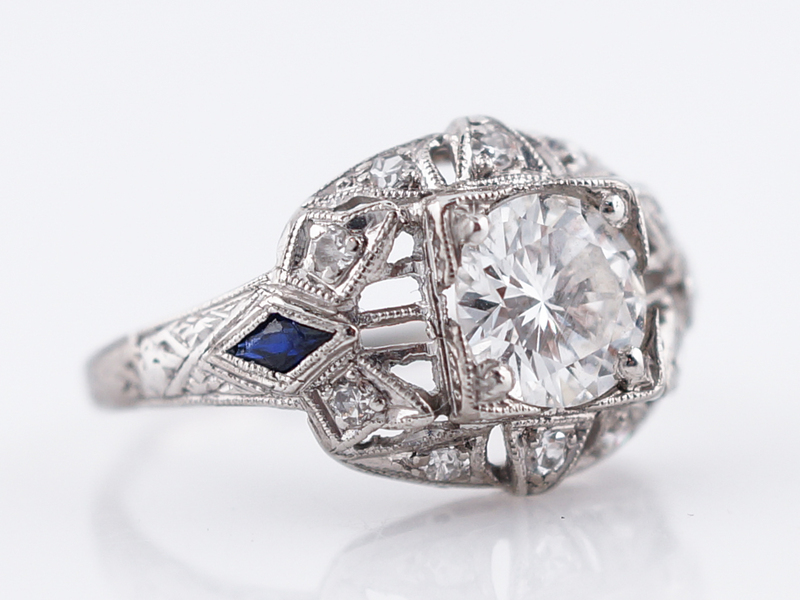 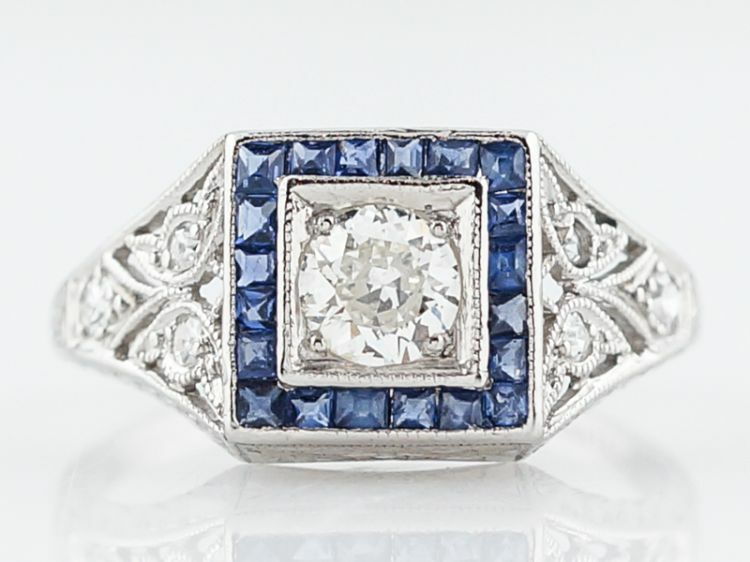 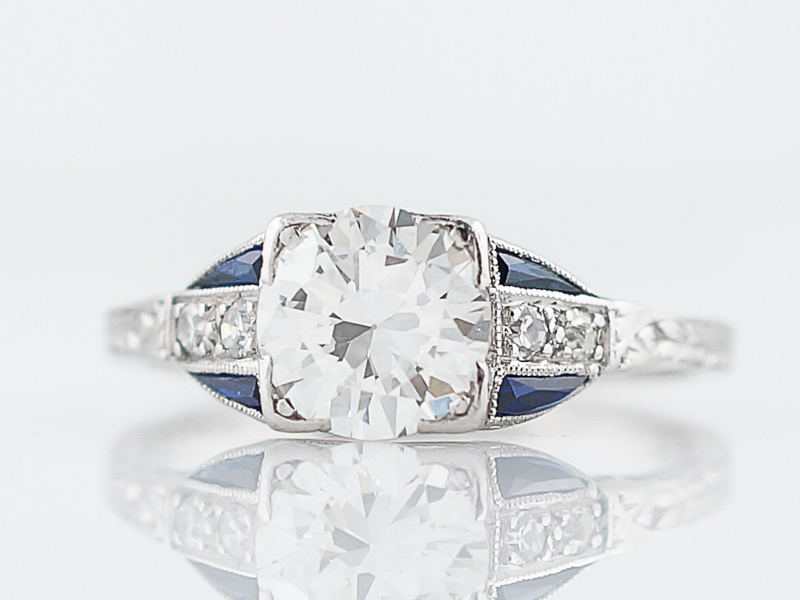 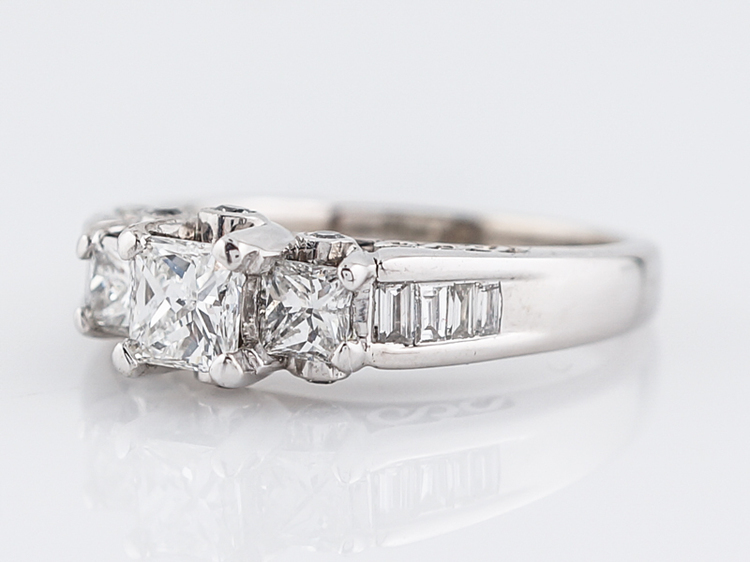 This stunning original antique art deco engagement ring features a 1.22 round brilliant cut diamond in the center. 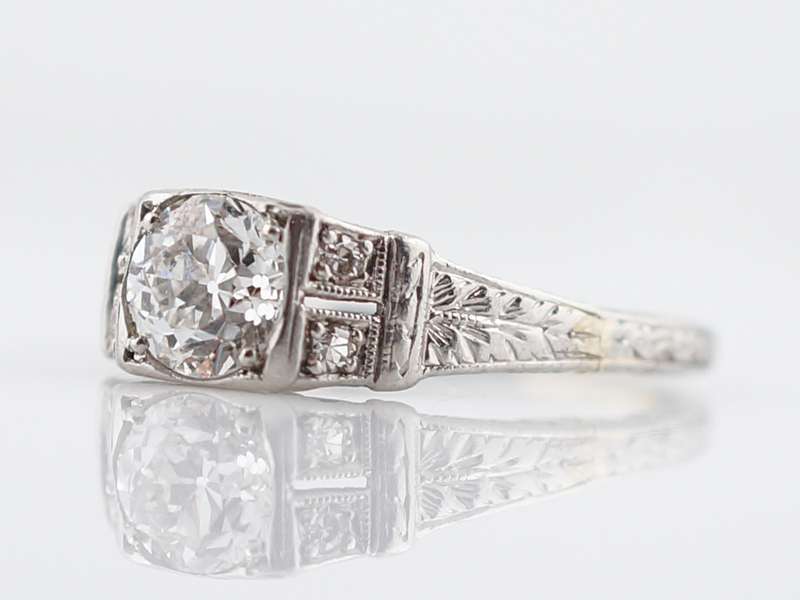 The center stone sits low to the finger and is held by four corner prongs. 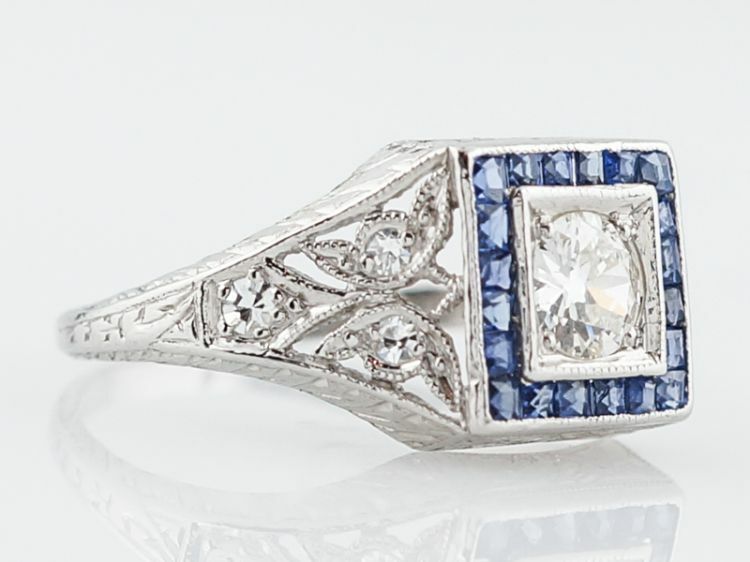 Four (4) triangular cut sapphires add a splash of color and give the appearance of negative space and two (2) single cut diamonds add additional sparkle. 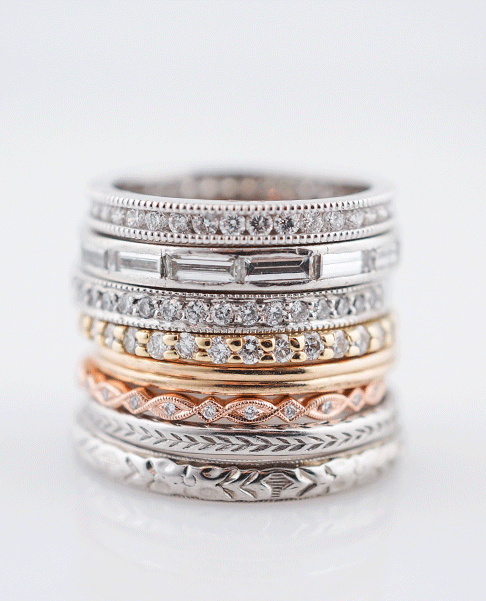 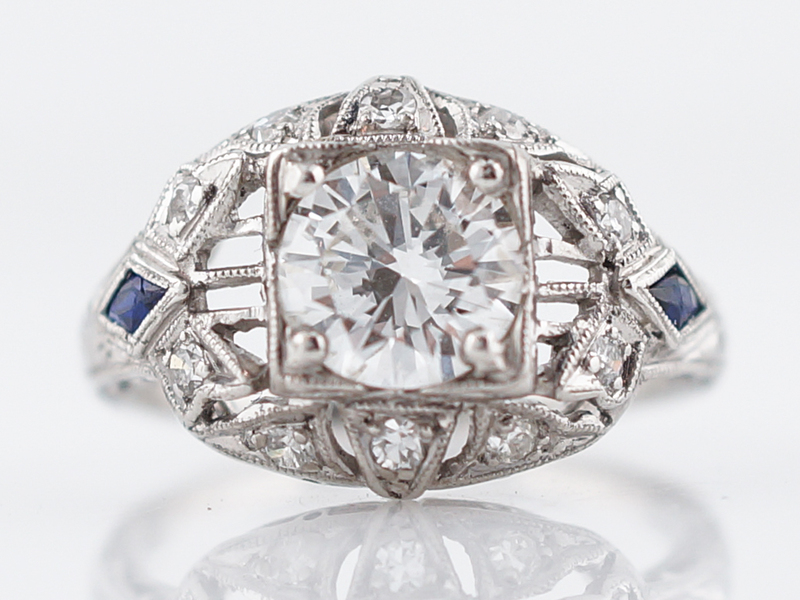 The shoulders of the ring are engraved on three sides and add a final touch of splendor.